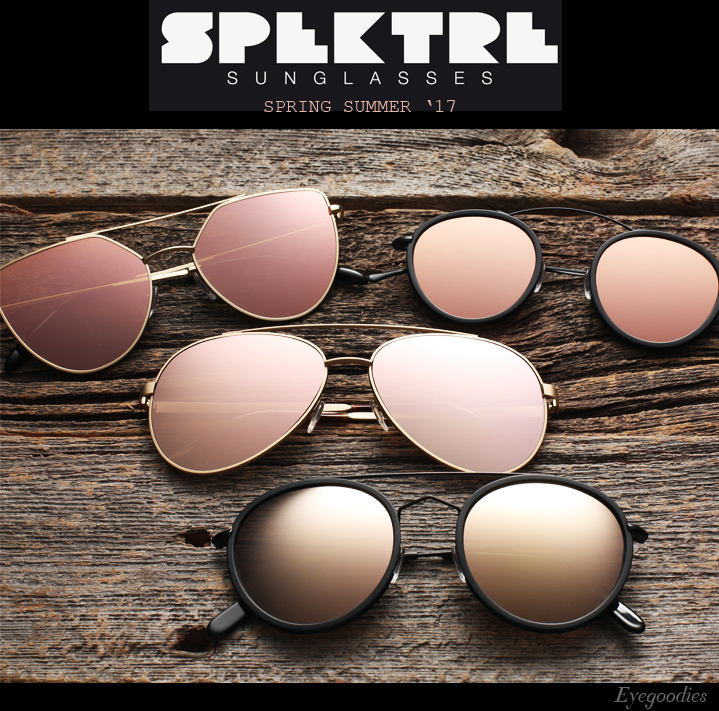 Eyegoodies is proud to welcome Spektre Sunglasses to the site! Modern, playful, and chic, are just a few of the words that describe Italian eyewear maker Spektre Sunglasses. The truth is, Spektre is all of those things carefully measured in perfect combination. Founded in 2009, Milan based Spektre has fast become internationally renowned for their fashion forward designs, which blend high fashion and street style seamlessly. 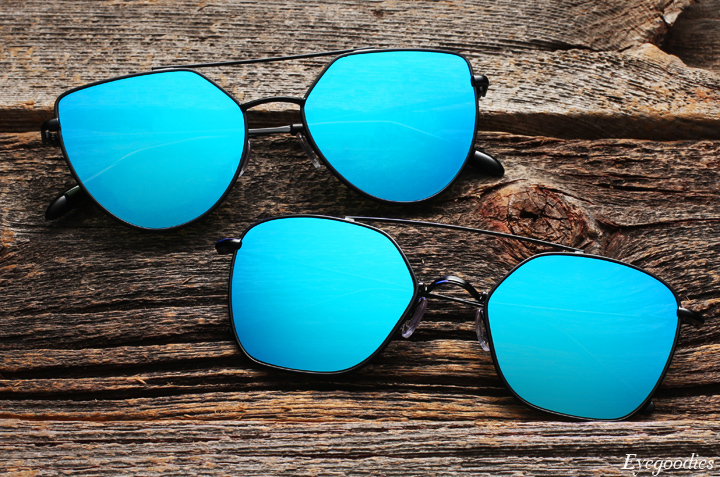 Particularly impressive to us, is how distinct and instantly recognizable each design is; and how even the most experimental sunglass always remains so easily wearable. Off Shore Doppio and Dolce Vita models in black w/ blue mirrored flat lenses. With its special attention to innovation, design, details, materials, and colors, it’s no surprise that models and street stylists alike gravitate to the independent brand. All frames are proudly handmade in Italy, with Spektre overseeing the entire production process. The new Spring Summer 2017 collection continues in Spektre’s tradition of bold, sleek, innovative shapes. Colorways range from black juxtaposed with vibrant blue mirrored flat based lenses, giving way to hues of silver, and this season staple of beautiful rose gold mirror lenses. Flipping out for Garrett Leight x Mark McNairy’s newest flip-clip collab, the Valdese. Following the success of past collaborations together, Garrett Leight California Optical and American menswear designer Mark McNairy are back at it, with a fresh limited edition frame for 2017. Presenting the Valdese, a mid-century military inspired design with a removable flip-up clip. There’s distinctive detailing throughout the entire frame, down to the pins — lightning bolt front pins with McNairys signature “TCMB” (“Taking Care of Motherf*cking Business”) acronym. Additionally the inner temple bares “Veni Vidi Vici” (Latin for “I came, I saw, I conquered”) and “Garrett Leight for Mark McNairy”. Worth emphasizing, the clips not only can flip-up, but can also be easily removed. 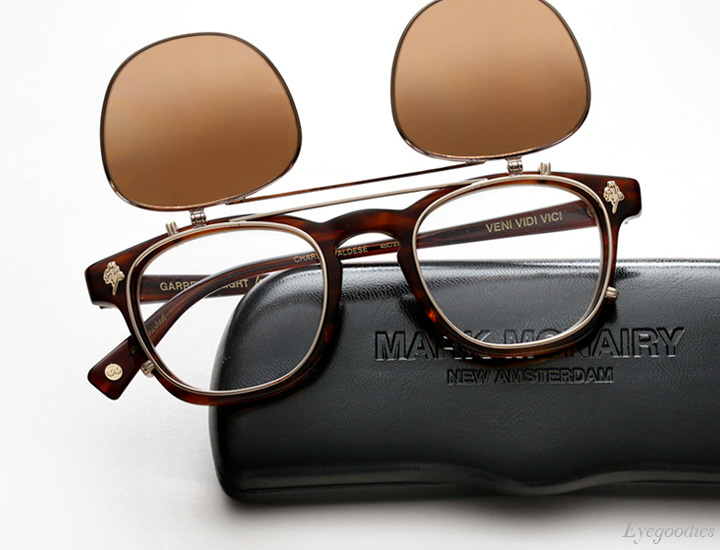 Allowing it to also be worn as a pure optical frame. The Valdese is available in three colorways: “Alpha” (Bone), “Bravo” (Grey Crystal), “Charlie” (Brandy Tortoise). Each comes paired with a distinctive gradient mirror clip-on flip lenses. And to top it off, every frame comes complete with a special edition box, hard clam case, and carrying pouch.